HYCM (formerly HY Markets) is a large forex broker offering trading more than 100 financial instruments: wide range of currency pairs, various CFDs on indices, commodities, stocks and precious metals, available on MT4 and its proprietary web platform. The company also offers binaries trading service through its HY Options brand. HYCM is part of the Henyep Group, a global conglomerate with various business activities spanning 3 continents and 20 countries world-wide. Set up 35 years ago, the Henyep Group is a global conglomerate with various business activities spanning 3 continents and 20 countries world-wide. It operates out of its offices in London, Dubai, Hong Kong, Kuwait and Cyprus. Traders are required to deposit just $100 in order to open an account with HYCM, which is an average minimum initial amount. However, other EU brokerages require less – XM, for example, which also holds licenses from both CySEC & FCA, demands $5. HYCM is a fixed-spread forex broker, and like most of them, charges no commissions. Fixed spreads are generally wider than variable ones, but offer traders a more predictable trading environment and protects them from wild spread swings which usually happen during news releases. In fact, the spreads offered by HYCM are quite competitive, amounting to 1.8 pips on EUR/USD on Standard and even on VIP accounts. 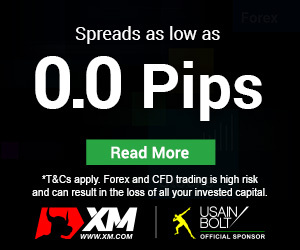 On average, fixed spreads amount to 2 – 3 pips. The maximum leverage levels with HYCM reach 1:400, which is considered a high ratio, however many other brokers provide similar or higher levels: XM, for instance, offers leverage up to 1:888. Nonetheless, keep in mind that leverage is a double-sided coin: higher leverage involves higher risk, not only the probability of multiplied profits earned on a small deposit. HYCM offers two trading platforms: its in-house web-based PrimeTrader and the renown MetaTrader 4. PrimeTrader is a new multi-asset web platform with user-friendly interface and provides integrated multiple pricing, advanced charts and complete online account management. Guaranteed Stop/Loss are available. The MT4 is also supported by this broker, desktop, and mobile versions being offered. This platform is preferred by most traders, because it allows clients to fully automate their trades by Expert Advisors (EA) and let the program do all the work. What is more, it offers a number of technical indicators and advanced charting package. MT4 allows trading signals, but HYCM has partnered with Pro Daily which brings investors cutting-edge signals trading service. HYCM offers a welcome on-deposit bonus of 25% (up to $5000) to all live account holders with deposits of at least $500. 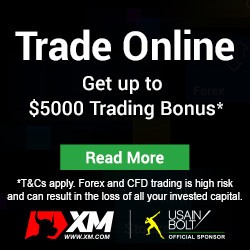 For every $1,000 bonus awarded, clients will be required to trade 30 standard lots within 60 days. The broker also offers a Refer-a-friend scheme. Depending on the amount of the initial deposit of the referred client, the referrer can get up to $250.